Bongo International, a leading provider of international shopping cart solutions, announced their most recently developed application, the Bongo Buddy™. The Bongo Buddy™ is the first and only application that scans any U.S. retailer web page and instantly provides international customers the estimated singular and consolidated shipping cost to their country. Bongo International, a leading provider of international shopping cart solutions, announced their most recently developed application, the Bongo Buddy™. The Bongo Buddy™ is the first and only application that scans any U.S. retailer web page and instantly provides international customers the estimated singular and consolidated shipping cost to their country. Shoppers can quickly visualize tremendous savings off common carrier rates through consolidation and Bongo's discounted rates. The Bongo Buddy™ is a Firefox browser add-on which launches as a column on the left hand side of the browser window. The tool gives users the ability to determine their reduced shipping costs based on the items they are interested in purchasing. Retailers have the ability to provide Bongo with detailed SKU information so the Bongo Buddy™ will pull accurate data when a visitor is viewing their site. 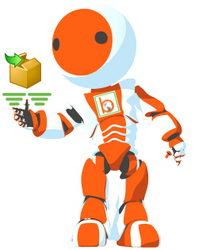 In instances where a retailer has not provided detailed information, the Bongo Buddy™ will pull from the data captured during Bongo's day to day operation, providing a reasonable expectation of shipping costs. Additionally, Bongo's retail partners can choose to display an advertisement or coupon code which will be shown in the Bongo Buddy™ application while a shopper is browsing on their website. "By advancing our technology for global solutions, we improve the shopping experience of our retailers' international customers," says Jennean Morrison, Marketing Manager for Bongo. "The Bongo Buddy™ adds value not only to our subscribers, but also to any U.S. Retailer and their international customer base." International consumers do not need to be a member or customer of BongoUS.com to make use of this application. BongoUS.com customers, however, are able to benefit from the "Buy Now" feature. Should a business not wish to accept international credit cards, BongoUS.com customers can press the "Buy Now" button to send the virtual shopping cart to their Personal Shopper account. Bongo's Personal Shopping team will make the purchase in US dollars on their behalf. Bongo International is a premier provider of international shopping cart solutions to help retailers expand their business to international consumers. Bongo's integrated application can easily be implemented on a retailer's site through the use of hyperlinks, converting international consumers into fraud-free domestic orders. By providing a consolidation point for U.S. orders, Bongo can save the international consumer 82% off common carrier rates. Bongo International's application is currently active on more than 400 U.S. retail websites.